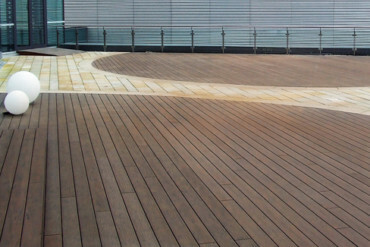 Mydeck is famed for its quality WPC patio decking tiles that are solid and easy to maintain. These beautiful tiles also feature attractive designs and surfaces with a natural feel to them. 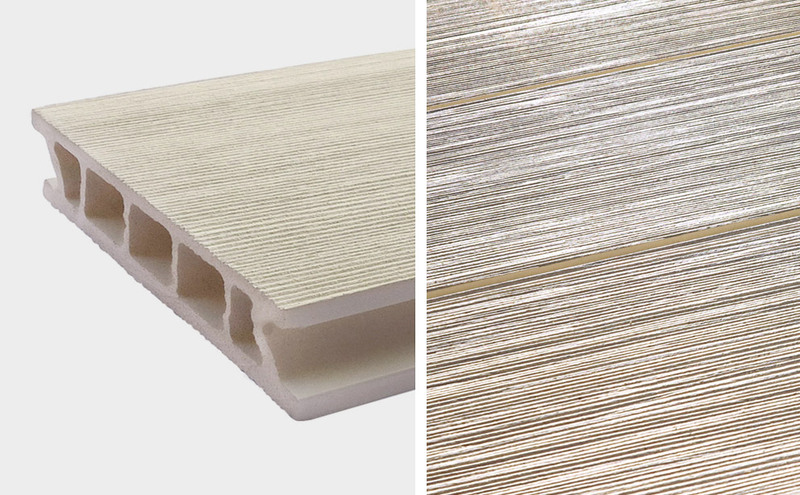 Mydeck has now added to its range an iridescent white outdoor decking tile that is made of a completely new composite material. The “Plexiglas® Wood – Mydeck Colour Edition” was developed with Evonik Röhm GmbH and consists of PEFC-certified wood combined with Plexiglas®. This means that it is now, for the first time, possible to produce stable hollow-chamber tiling that does not distort in use. Plexiglas® is a branded plastic – not to be confused with simple colorless plastic, which is made simply of carbon, hydrogen and oxygen. Accordingly, it fits in perfectly with the focus here on sustainable patio decking tiles, which are manufactured in Austria. It is not only the material but also the appearance that is impressive – these decking tiles can be laid entirely without any visible grouting – thanks to their simple clip system which entails an asymmetric groove in the concealed substructure. Moreover, with these patio decking tiles, it is now possible to create grout-free corner elements because individual sections of this kind can be glued into place. The “Space” color version is only the beginning of the planned range of “Plexiglas® Wood – Mydeck Colour Edition”; with countless other colors in the pipeline. 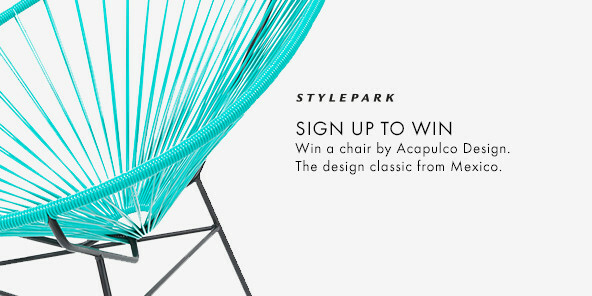 Mydeck offers a ten-year guarantee on the tensile strength of these decking tiles. 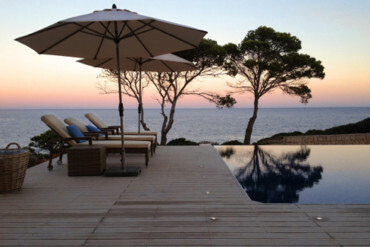 For wet areas on bare feet these decking tiles achieve the ultimate DIN 51097 C quality grade. 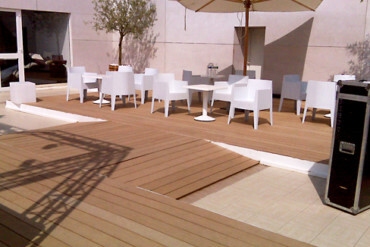 The new “Plexiglas® Wood – Mydeck® Colour Edition” collection in the “Space” version: These broad patio decking tiles with their slightly tinted shade of white boast a special Perspex composite, making them particularly durable and weather-resistant. 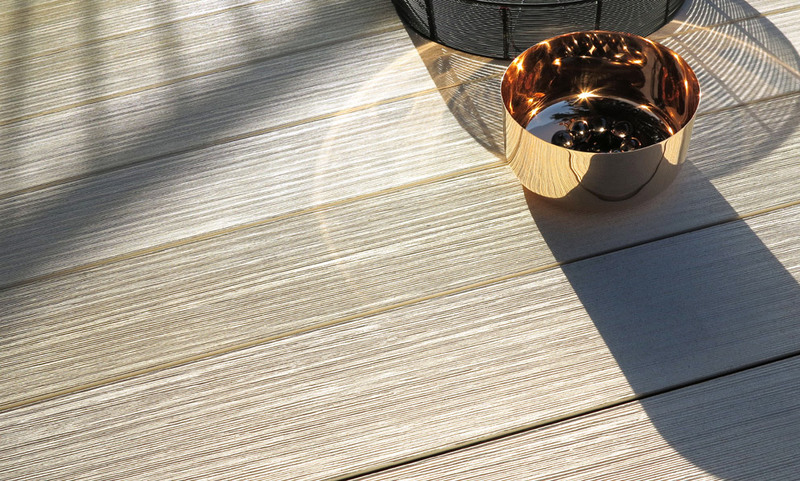 Featuring lined grooves or a delicately brushed surface these decking tiles can be laid with either side facing upwards. They have a warm, vibrant feel to them.